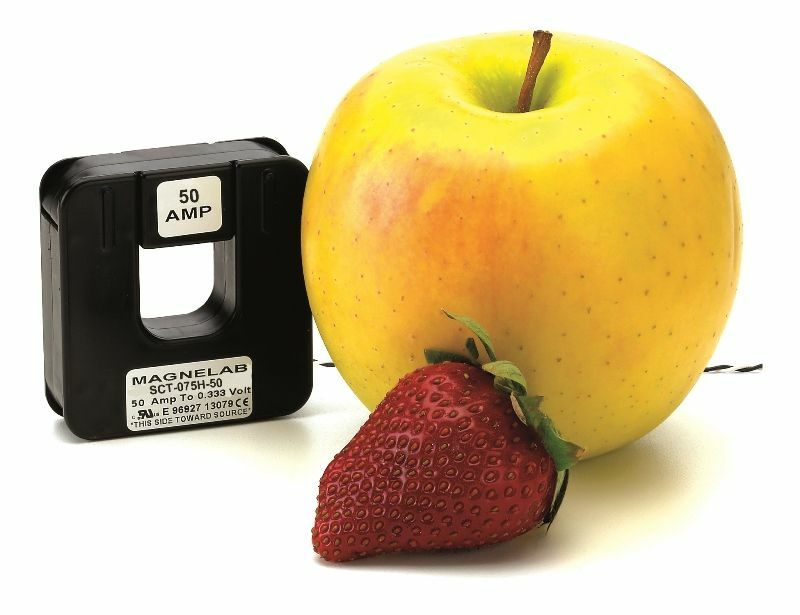 The Magnelab SCT-075H series power monitor current sensors fully comply with ANSI revenue grade class C57.13 accuracy class 0.6. This gives them superior phase angle, as well as unrivaled linearity simply not found in any other class 2 transformer. A maximum of 200 amperes may pass through the center of the conductor, which should satisfy a wide range of applications. The SCT-075H transforms up to 200 Amp AC input current to 0.333 Volts of output current. These AC current sensors are particularly suitable for installation on electrical wiring already in place. This is because they may simply be snapped around the pre-installed conductor. On a bare conductor, this sensor can deal with up to 600 V. It is available in 50, 100 and 200 Amp capacities. The opening of the sensor is 0.75 inch in width. For those who need a similar product, but require a larger ampere rating, the SCT-1250 split core current transformer has a 1.25-inch opening and can handle up to 800 amperes. The SCT-075H come with a number of notable features. Its linearity accuracy is as good as it gets, with just 0.5% either way. The phase angle is even better, at just 0.25% either way. The rated input of this product, which may be used as a power monitor, is 200 Amps and the accuracy is guaranteed at 10 percent to 120 percent of rated current. The device operates with a range between 30 Hz and 1,000 Hz and comes with a twisted pair lead measuring 8 feet in length. On a bare conductor, it deals with a maximum voltage of 600 V and it offers 0.333 Volt AC output at rated current. 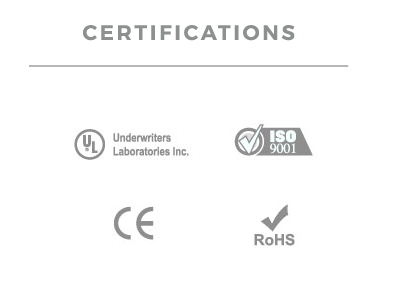 The device is fully UL recognized, and is compliant with the RoHS and CE standards. It has a 10 year warranty included.